Sponsored by the New Jersey State Bar Foundation in cooperation with the Somerset County Bar Foundation, the Vincent J. Apruzzese High School Mock Trial Competition is held annually at the Somerset County Courthouse. Local high school students become attorneys, witnesses and jurors in the county-wide Mock Trial Competition which is begun in January. Each year, students prepare for the case competition beginning in mid-fall. Each year the case is different. Winners from the Somerset County competition move on to regional semi-finals and if successful, on to the State finals which are held in March-April. The winner from the State Finals proceeds to the National Mock Trial Championship competition. To increase comprehension of the historical, ethical and philosophical basis of the American system of justice. To demystify the operation of the law, court procedures and the legal system. To help students increase basic life and leadership skills such as listening, speaking, writing, reading and analyzing. To heighten appreciation for academic studies and promote positive scholastic achievements. To bring law to life for students through active preparation for and participation in the competitions. The goal is not to win for the sake of winning, but to learn and understand the meaning of good. Citizenship in a democracy vis-a-vis our system of law and justice. In this sense, all the students who participate will be winners. Mount Saint Mary Academy students captured the 2012-13 Somerset County Mock Trial Competition. NJ Supreme Court Justice Helen E. Hoens and the Hon. Robert B. Reed, JSC presided over the final trial competition on January 30, 2013. For more information, contact the Somerset County Bar Foundation (tel: 908-685-2323) or the New Jersey State Bar Foundation (732-249-5000 or visit its website at www.njsbf.org). The Somerset County Bar Foundation, in cooperation with the New Jersey State Bar Foundation hosts an annual Law Day / Court Night program on or about May 1st. This is a law-related education progam open to the public and is funded in part by the IOLTA Fund of the Bar of New Jersey. “An Insider’s View to the Justice System” – presented by employees of various functions within the Somerset County court system (Judiciary, Civil, Family, Criminal, Sheriff’s Office, Probation and Court Reporting). “The Hall-Mills Murder” - Known as the “crime of the century” in 1922, it was a crime of passion, money and influence. It remains unsolved today. The original evidence used in the case was presented and discussed. “Navigating through the Courts” – speakers described each area of the court and resources members of the public could use to navigate through the system. new law and the significance of the law’s enactment. "The Conversation Continues...The Links Between Bullying and Minority Populations in the Juvenile Justice System: - a follow-up to last year’s program wherein the subject of bullying is revisited, but with the purpose of identifying potential links between it and disproportionate minority contact in the juvenile justice system. For more information contact the Somerset County Bar Foundation at 908-685-2323. 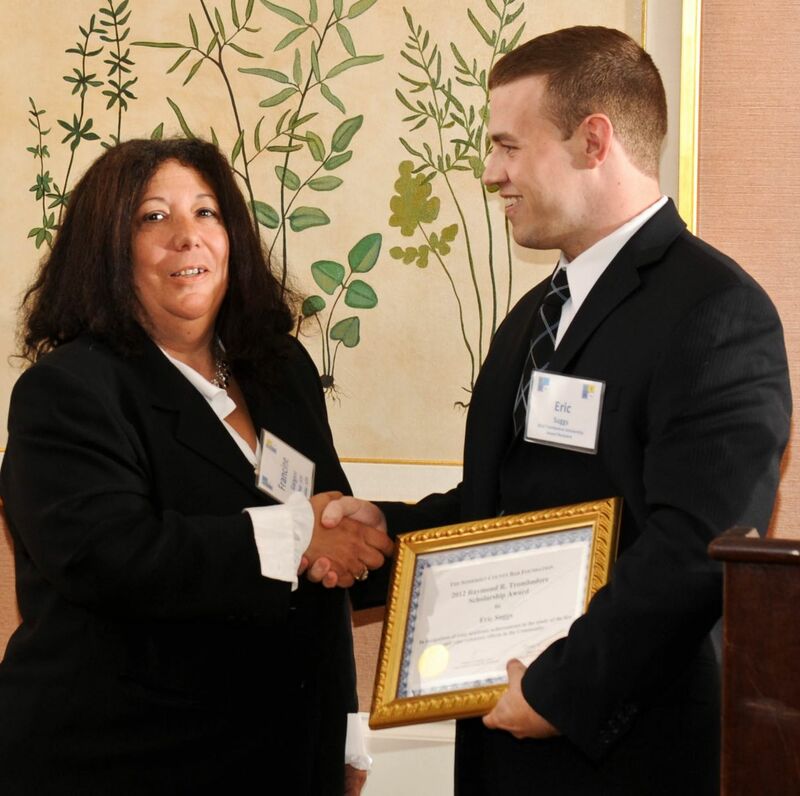 In recognition of his many years of service, the Somerset County Bar Foundation named a Scholarship Award in honor of Raymond R. Trombadore, Esq. in 2004. Mr. Trombadore was president of the Somerset County Bar Association, New Jersey State Bar Association, on the Executive Council of the National Conference of Bar Presidents, as well as a member of the American Bar Association (ABA) House of Delegates. Perhaps his greatest contribution was his lifelong accomplishments in the field of professional responsibility since the beginning of his career. He served as member and chair of the McKay Commission, the ABA Commission on Evaluation of Disciplinary Enforcement. A report issued during his tenure as chair, serves as the model of lawyer discipline in this country. As chair of the ABA Standing Committee on Professional Discipline, he carried on the work of implementing in every state a lawyer regulatory system that is fair, efficient and effective. He tirelessly advocated lawyer regulation that inspires public confidence and assists lawyers under the auspices of an independent judiciary. The Somerset County Bar Foundation awards scholarships annually to local law school students at one of New Jersey’s three law schools, Rutgers University School of Law in Camden, in Newark and Seton Hall University School of Law. Consideration is given to financial hardship, academic accomplishments and local community involvement. Click here for the Scholarship Application. Jordan Hollander, a 3L at Rutgers University Law Schoolin Camden was the 2013 recipient of the Raymond R. Tromadore Scholarship award at a fall dinner. Presenting the award was SCBF Chair Francine A. Gargano, Esq. For more information regarding the Scholarship Program, please contact the Somerset County Bar Foundation at 908-685-2323 or cawinder@somersetbar.com. 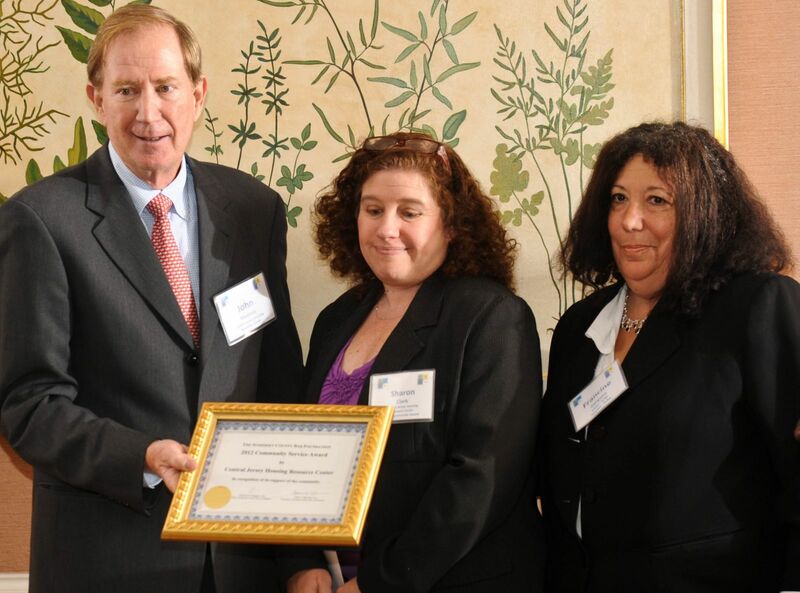 The 2012 Community Award was given to Central Jersey Housing Resource Center. CJHRC President Michael Armstrong and Director Julia Bey Ahmet, receive the award from SCBF Chair Francine A. Gargano.